The K2 Deluxe Boot/Helmet Bag is a simply designed and effective ski boot bag that stores boots in an upright position on either side of the center compartment. The bag is a medium-size without being so big that it becomes cumbersome. The center gear compartment limits the placement of the helmet to the top section which collapses under the weight of the helmet if the bottom section is empty. Both the gear and the boot compartments are ventilated and the bag features padded, stowable shoulder straps with quick-release buckles. The K2 Deluxe Boot/Helmet Bag is made from rip-stop polyester with a water-repellent finish. The material held up well during the test, but isn’t as thick or as durable as the material on many of the boot bags we tested and left some questions as to how the material would hold up to long-term use, especially for people who tend to be a little tougher on their equipment. The bag does have a layer of padding on the outside of the boot compartment, but the interior of the compartment doesn’t have a waterproof lining to help keep water from the other compartment and help protect the bag from the hard edges and buckles on ski boots. The straps and carrying handle are thick and durable, but the seams only offer single stitching, and while the zippers functioned well throughout the test, they are thinner than the heavy-duty zippers offered on some of the other bags. The stowable shoulder straps, carry handle, and padded sides allow the Deluxe Boot/Helmet Bag to be used as a travel boot bag, but it doesn’t really have the durable construction most people would look for in a bag that is designed to withstand the rigors of baggage handlers, while offering sufficient protection for the valuable cargo inside the bag. It’s apparent that the Deluxe Boot/Helmet Bag was designed mainly as a way to make it easy to get boots and other gear from the car to the lodge, and in this capacity it functions well. Although the shoulder straps on the Deluxe Boot/Helmet Bag aren’t contoured, they do offer a fair amount of padding, which makes carrying even a fully loaded bag easy and comfortable. The bag also features quick release buckles on both straps to make it easier to slide the bag off your back if you’re wearing a heavy coat. The reinforced handle on top of the bag makes it easy to grab off the ground or pull out of the back of the car. The Deluxe Boot/Helmet Bag is a pretty straight-forward bag, but it does include a few extra features including a small zippered pouch for passes, wallets, etc. as well as a split main compartment to keep a helmet separate from the rest of the gear. The boot compartments on either side of the bag are expandable so if you aren’t toting ski boots you can zip the compartments down and make the bag even more streamlined. The Deluxe Boot/Helmet Bag is well designed with the boot compartments on either side that keep boots upright and dry, with a separate main compartment for a helmet and other essential gear. The design could be significantly improved with a waterproof bottom on the bag and the lining of the boot compartments. And while the split design in the main compartment is a nice feature, the downside of the design is that the helmet only fits in the top section and the weight of it collapses the fabric “shelf” if the bottom section isn’t loaded with additional gear to provide support. 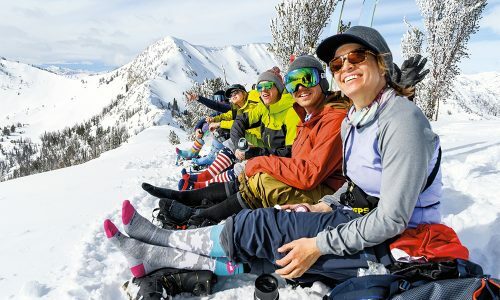 Whether you’re a frequent traveler who trots around the globe in search for the perfect powder or just an enthusiast at heart who tries to get to your hometown slopes as often as you can, the right ski boot bag can go a long way toward making the prospect of getting your gear to the slopes as simple and stress-free as possible. To help you figure out which one will provide the best solution for you without having to pay for more bag than you need, we evaluated several different aspects of these ski boot bags. Here’s how they compared. While most of the bags were well constructed, the Boot Trekker really stood out from the competition by featuring a combination of water-resistant nylon and a waterproof bottom. It had rolled seams, double-stitching throughout, and heavy-duty zippers on all the compartments. This is a bag that is likely to stand up to anything any mountain – or an army of baggage handlers – can throw at it. That quality comes with the highest price tag of all the bags we tested ($150), and at the opposite end of the spectrum, the Salomon Extended Max Gearbag was the least expensive ($65), but its single stitching and lighterweight materials didn’t seem like they would last more than a few seasons without showing some serious wear. Some people are looking for a bag that can double as a carry-on while others are just looking for something to hold their boots from the car to the lodge. Some want a bag that’s equally effective for backcountry expeditions as it is for a leisurely day at the resort. How many differnent ways you plan on using your ski boot bag – and for how many different types of activities – determines how versatile you want it to be. In our test, Dakine’s DLX Cargo Pack edged out the Boot Trekker as the most versatile largely because it was the only bag in the test that included compression straps on the outside of the bag that allowed skis or boards to be strapped to the outside. For a boot bag to actually be effective at reducing frustration, it has to be easy to carry. But portability doesn’t begin and end with the process of carrying the bag from the car to the slopes, it also includes pulling it out of the bed of a truck or hefting it up to the top locker in the lodge or moving it through a crowd of gawkers in the lunch line. To judge this category, we looked not just at the primary carrying system used on the bag, but also the location and construction of secondary handles. This is another area where the Boot Trekker and the DLX Cargo Pack were neck and neck because both feature padded shoulder straps and strategically placed handles. The Slope Pack and Deluxe Boot/Helmet bag both came in a point behind, but still had respectable scores. Only the Extend Max Gear Bag didn’t get good marks in this category because it featured only a single shoulder strap for carrying. All-in-all, ski boot bags don’t seem to be extremely feature-rich pieces of equipment. Most provide the basic necessity of carrying boots and differing amounts of gear, but offer little else in the way of added features. The most noteable exception was the Boot Trekker bag that includes such thoughtful luxury items as a goggle pouch with soft lining, easy-access glove pockets, pack release buckles, an ID holder and glow in the dark zipper pulls. The DLX also includes some noteworthy features such as the compression straps to hold skis and boards on the outside as well as internal zippered pouch for passes, maps and other important essentials. The two biggest differences in boot bag design relate to how the boots are carried within the bag – either standing upright or stacked on top of each other. While the standing upright design naturally creates a wider and somewhat more combersome bag, we tended to give higher marks for this design because the alternative design has serious downside that when wet ski boots are stacked on top of each other: water from one boot is likely to soak the inside of the other. The Boot Trekker, Deluxe Boot/Helmet Bag and Extend Max Gear Bag all feature the standing upright design, while the DLX Cargo Pack and Slope Pack both feature the stack design. 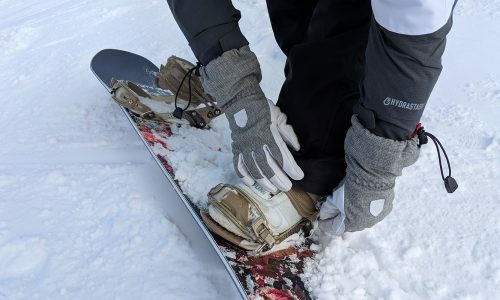 The Slope Pack scored higher than the DLX, however, because it included a separator in the boot compartment that seemed to be effective at keeping most of the moisture from getting into the inside of the boots. It’s typically apparent when any manufacturer sets out to create a product that stands above the competion in almost every regard, and that’s exactly what Kulkea did with the Boot Trekker. Although it was the most expensive bag in the test, it is well worth its price tag, scoring the highest marks in construction, features, and design and tying for first in portability. The only category where it wasn’t on top was in versatility where it was edged out by Dakine’s DLX Cargo Pack 55L. The second most expensive bag in the test, the DLX ($110), is far from a consolation prize to the Boot Trekker. The DLX received high marks in every category with the one major drawback being the stacking boot storage design. Depending on how you plan to use your boot bag, either of these options is a solid choice whether you need a bag for travelling or just day trips to your local resort. The Slope Pack and Deluxe Boot/Helmet Bag also provide good solutions with a less expensive price tag. 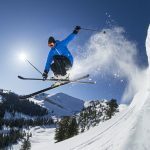 Regardless of how you plan to use it, or how much you’re willing to spend, the addition of a ski boot bag to your list of essential gear is likely to pay off huge dividends in terms of a stress-free day on the slopes. For each of the bags, we looked at the materials that were used both inside and out as well as how those materials were put toghether. We considered the stitching, the seams, the buckles and zippers to get an idea of how well the bags were put together and how long they were likely to last. It might not be likely that one bag can be all things to all people, but the more possibile uses a bag has, the more valuable it will be and the easier it is to justify the purchase. Can the bag can be used for multiple activities? Can it act as a carry-on luggage for ski trips? 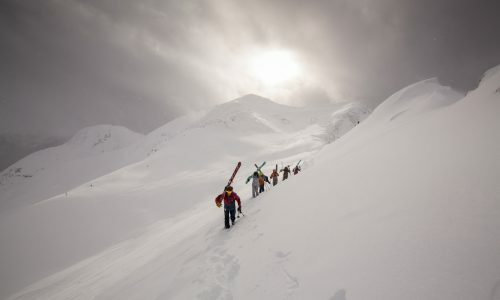 Can it be effectively be used for backcountry skiing as well as days at the resort? The more possibilities that are built into the bag, the higher it ranked in this category. For a bag to be effective, it has to be easy to carry. While not every bag was created to carry a heavy load over long distances, the more effective a bag was in this regard, the higher it tended to score in this category. We also considered the placement and construction of secondary handles that are more likely to be used when pulling the bags out of the car or off the top storage shelf. 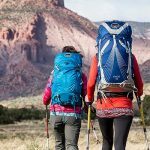 It’s a simple truth of outdoor gear: the more features you can include in a piece of gear (without going overboard, of course) the more attractive said piece of gear is to the outdoor enthusiast. Ski boot bags are no exception. Little features tend to carry a bag from good to great and can be the one aspect that makes people chose one bag over another. Practical design is paramount in ski boot bags. To rank this category, we looked at both the major design characteristics such as the way the boots were stored and the carrying style of the bag, but we also consider the small details such as shoulder strap releases, how easy it is to access the secondary compartments and how well the expensive gear stowed inside the bag is protected. Because it’s often those little things that make the biggest difference in how much frustration a ski bag effectively eliminates. What is a ski boot bag? For all that it is, skiing is certainly not a minimal-gear type of activity. Which means that before you can find joy in that activity, you first have to haul all your gear up snow covered steps and slippery slopes and through hordes of other enthusiasts eager to catch the first chair of the day. And unlike some pastimes – like swimming for instance – ski gear is cumbersome and heavy and awkward. 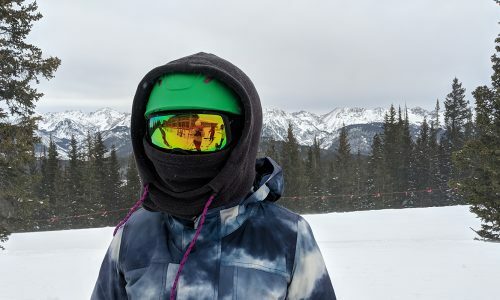 But unless you figure out a way to have your own personal porter tag along with you each time you head to the slopes, skiing is always going to mean having to haul that heavy, cumbersome gear up to the lodge. And while you might not be able to avoid this unwelcome downside to spending a day on the slopes, you can make it significantly less frustrating by investing in a good ski boot bag. 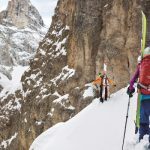 While the right ski boot bag can certainly decrease your frustration level, the wrong bag can quickly compound your aggravation and put a serious damper on what would otherwise be a sensational day spent on the mountain. 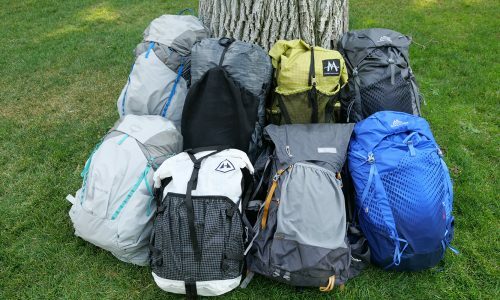 There is a pretty substantial price variation in the bags we tested ($65-$150), and as with most pieces of gear, the more you pay, the more you tend to get. For the most part, though, the biggest differentiation between bags is what they are designed to carry. Some bags are made to hold a pair of ski boots and not much else while others are created to hold an entire day’s worth of gear and food and supplies in addition to the mandatory ski boots. In most cases, the more the bag was designed to do, the higher the price tag. The first step in determining which bag is right for you is to understand exactly how you plan on using the bag. If the majority of your ski season is spent on the same slopes and you’re not hauling much more than your boots from the car to the lodge, then you might not need to shell out as much on a bag as someone who is traveling from one state to another, looking for the best pow of the season, and needs a bag that can hold all the essential gear without coming apart at the seams. It’s also important to carefully consider the features built in to each of the bags. At the end of the day, these are tools to help reduce the amount of frustration surrounding a sport you’re passionate about. 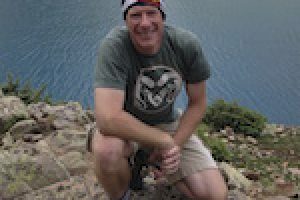 Decide where your biggest sources of aggravation stem from when it comes to hauling your ski gear then figure out which bag will do the best job of helping to alleviate that stress. Because a bag that can do that might just be the best investment you can make.